Why let the weather decide when to share some quality time with that special someone? These spots around Yokohama are date night approved, and especially handy during rainy season! Yokohama Hakkejima Sea Paradise is a great dating option during rainy season. It's a large complex that contains aquariums, an amusement park, a shopping mall, restaurants, a hotel and a marina. The Aqua Resort and Dolphin Fantasy aquariums are indoors and can be enjoyed even if it rains. In June, the complex also boasts over 20,000 (!!!) hydrangea blossoms, making it one of the largest collection of hydrangeas in the Kanagawa Prefecture. MARK IS Minatomirai opened in June 2013, and is an ideal rainy day date spot because it's directly connected to Minatomirai Station. It's the largest shopping mall in the Minatomirai area, with 189 shops throughout its 10 floors. 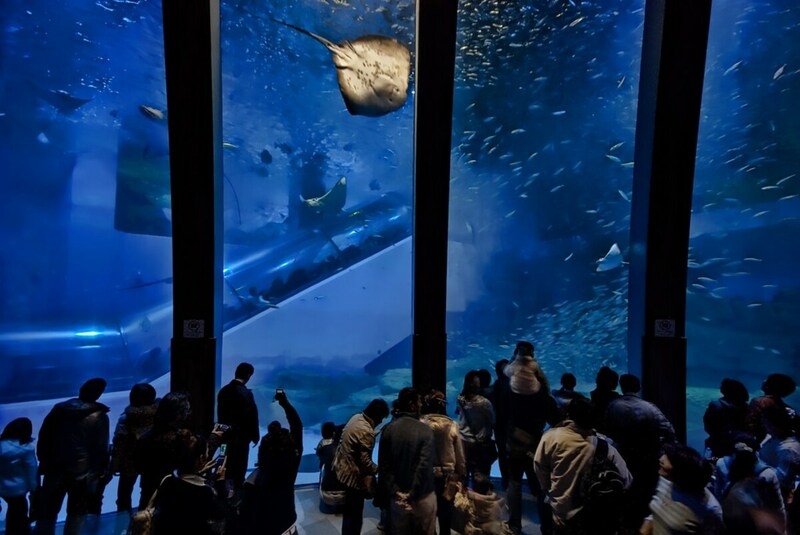 Couples can also enjoy the fifth floor entertainment complex "Orbi Yokohama," which shows immersive films on nature. Opened in July, 2012, this model railway museum is situated near the east exit of Yokohama Station. The Ichiban Testumo Park is a large-scale diorama with running trains, and is fun to watch even if you don't really have an interest in railway history. But if you do, there's so much to enjoy at the Hara Model Railway Museum that it's perfect for repeat visits! The Shin-Yokohama Ramen Museum celebrated its 20th anniversary in 2014. There are currently 9 restaurants inside the museum. You can't go wrong with any of the dining options available, but Muku Zweite—which opened June 25, 2014—draws a lot of attention since it came all the way from Frankfurt, Germany. Couples can enjoy trying out different ramen shops in the retro, Showa-era atmosphere that hearkens back to the 1950s. The Sky Garden—located on the 69th floor of the Yokohama Landmark Tower—seems like it was practically designed for rainy season! Although it costs money to enter, there are regular promotions—including a "Rainy Day Campaign" on weekdays and a "Zero Visibility Campaign" on weekends where entry is significantly discounted. No matter the weather, visiting the Sky Garden is sure to be a memorable experience. The incredibly popular Cup Noodle Museum opened in Yokohama in September, 2011. Not only are you able to make your own cup noodles to take home with you, there are also areas in the museum where you can learn about the history of the cup noodle, and even a food court to enjoy noodles from around the world. The Chicken Ramen Factory is a perfect addition to your date, but reservations are necessary so be sure to book in advance! The Yokohama Red Brick Warehouse consists of two buildings. One building houses a souvenir shop and a large hall, and the other houses other retail stores and places where you can purchase food. You can really feel the historic atmosphere inside, especially since the buildings are so well-preserved. The Minatomirai ¥100 bus from the JR Sakuragicho Station is available on Saturdays and Sundays, which means that you won't have to walk outside in the rain to get there! Yamashita Park makes for a good walk, even in the rain. 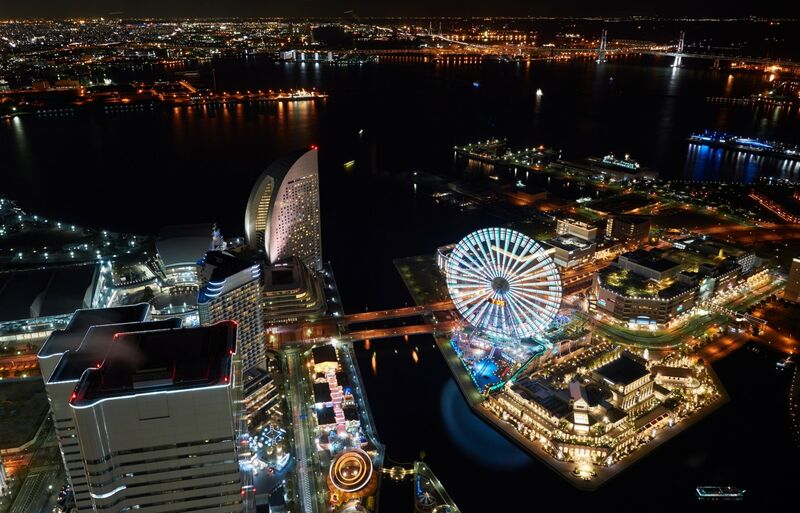 You can take in the views of Yokohama from the observation deck, or stop for a meal at Yokohama Marine Tower. There are also some shops and attractions to note nearby, such as Barneys New York, the NYK Hikawa Maru passenger ship and the historic Hotel New Grand.